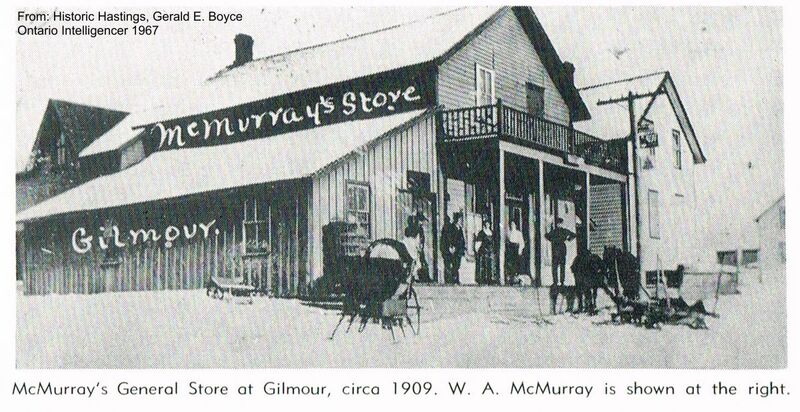 The community was named in 1887 for the Gilmour Lumber Company of Trenton. The company started in Quebec City in 1828, funded by Scottish interests that established a number of mills at the mouth of the Trent R. in the 1850s. 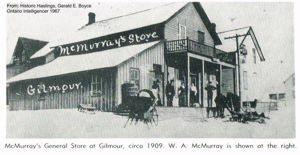 Allan Gilmour (1805-1884) was a principal of the company. Have something to say about Gilmour?